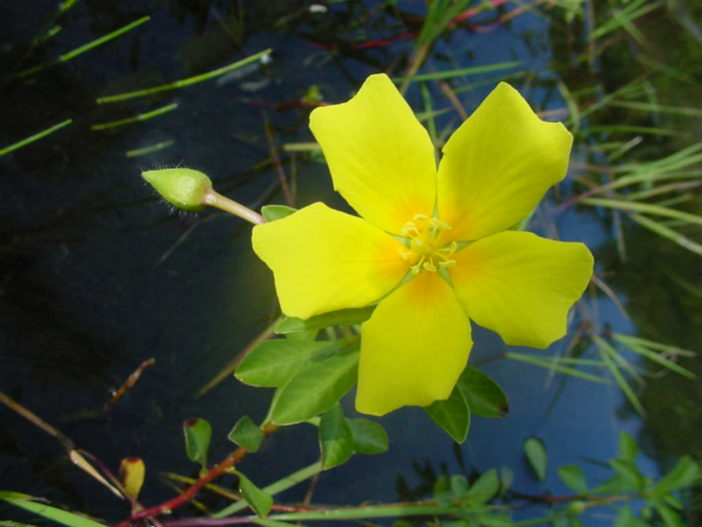 Ludwigia peploides is a perennial herb which grows in moist to wet to flooded areas. 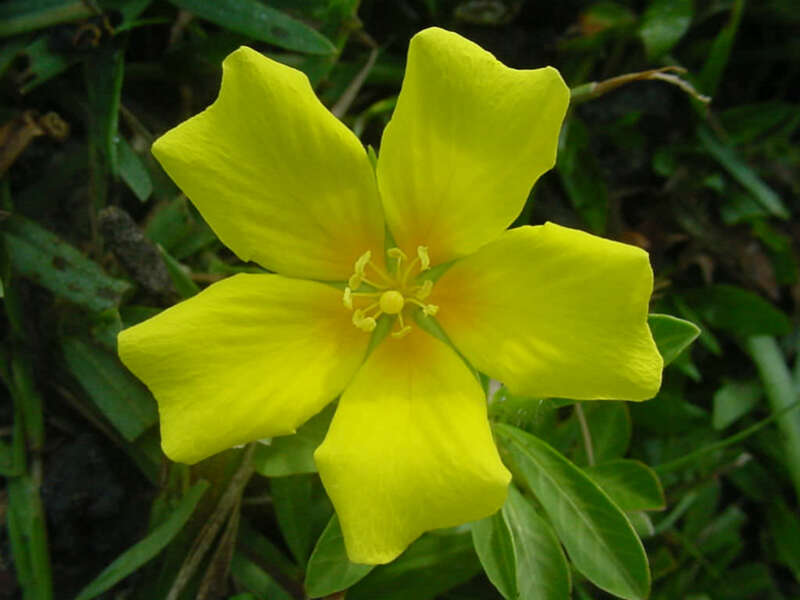 The stem can creep over 6.7 feet (2 m) long, sometimes branching. It spreads to form mats on the mud, or floats ascending in the water. 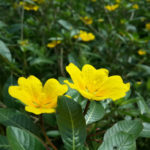 The leaves are up to 3 inches (7.5 cm) long and are borne in alternately arranged clusters along the stem. 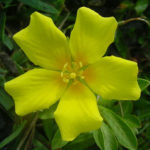 The flower has 5 to 6 lance-shaped sepals beneath a corolla of 5 or 6 bright yellow petals up to 1 inch (2.5 cm) long. 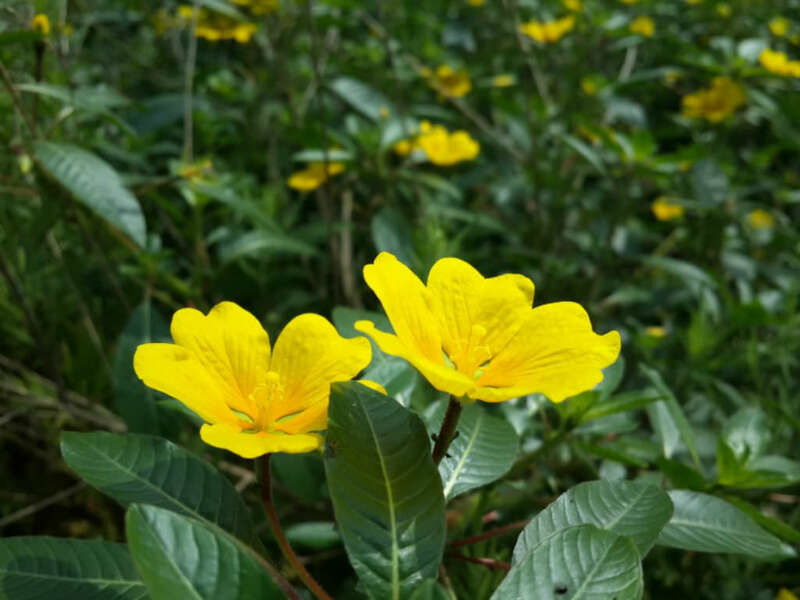 The blooming period occurs from late spring to early fall, lasting several months. The fruit is a hard, cylindrical capsule. 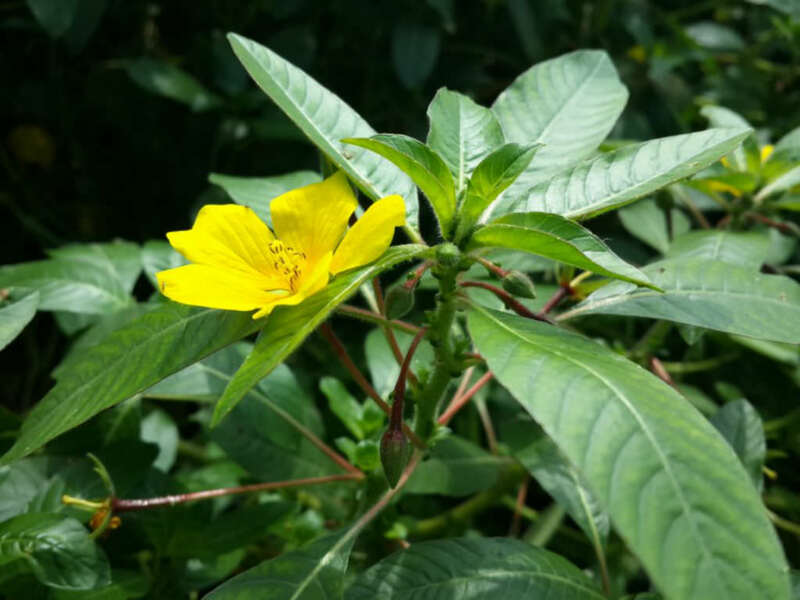 Although the usefulness of this species in the aquascape is markedly limited, its beautiful circles of reddish foliage can lend a unique texture to outdoor ponds… – See more at: How to Grow and Care for Mosaic Plant (Ludwigia sedoides). 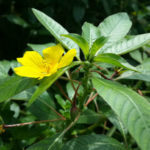 Native to many parts of the Americas, but it can be found on many continents and spreads easily to become naturalized.